In a small Indiana town, alone in the dark, a man watches and waits...waiting to see if the stories are true about The Soul of the Witch. It begins with two girls, the very best of friends with an amazing psychic bond. As children they were lonely outsiders, but now as adults, Devan and Janesa’s powers are growing stronger and more difficult to control. When a mysterious stranger comes to town offering to tell them a dark and magical secret about their past, they are thrown into an old battle they didn’t start, but one that threatens to claim their very lives. Jealousy and suspicion threaten their lifelong bond as they set out to solve the mystery of their past and their budding supernatural powers. The novel moves from past to present from the small town of New Albany, to nineteenth century England, to the witch hunts in Ireland, and back again. A complex tale of seduction and evil unfolds--starting on a fateful night in the sixteenth century because of a forbidden love and a curse . . . A curse meant to punish and torment throughout the following centuries. Can they trust this stranger? Can they trust themselves as the dark secrets they learn threaten to tear them apart? Will the curse at last claim The Soul of the Witch? 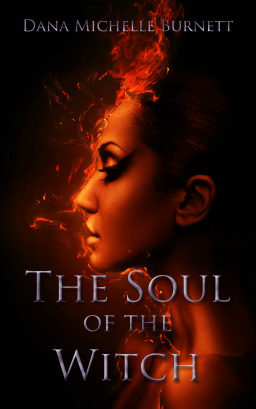 For a look into the world of The Soul of the Witch, check out The Soul of the Witch Pinterest Page.